To protect your business cash flow you need to ensure that your business can recover its outstanding debts. This is a common area of business activity and there is a well established legal process for debt recovery for businesses. Traralgon debt recovery lawyers Henry Street Law can advise you on the procedure your business should follow in order to ensure your debtors ledger does not get away from you. A letter of demand is sent to the debtor. 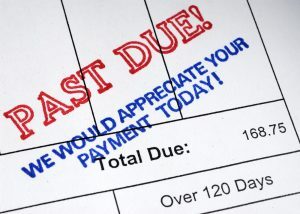 This debt collection letter needs to be legally admissible and must include: specific details of the debt, a request that payment be made by a certain date; and a warning that debt recovery options will be pursued if payment is not received by this date. Suing to recover the debt. Court proceedings commence with the filing of a Statement of Claim or Complaint. The Court handling the matter depends on the amount of the debt and the forms required vary so it’s important to seek legal advice at this stage. The way that the debtor responds to the Statement of Claim or Complaint determines the next steps. They may agree to an instalment order, they may not respond at all in which case Court proceedings may be commenced, or they may deny your claim and file a Defence to it. We have experienced litigation lawyers who know the legal processes involved in Victorian debt recovery proceedings. We can help you at any stage of this process of recovering a business debt, whether it is helping you write an effective and legally sound letter of demand, or pursuing the matter through the Court. Our debt lawyers are familiar with the process of enforcing Judgment and can manage the process right through to bankruptcy or company winding up proceedings if need be. One way to reduce your exposure to bad debts is to review your contracts, trade agreements and terms of trade. We can advise you on whether your terms of trade, contracts and commercial agreements are clear and your processes solid so you can avoid lengthy and costly litigation proceedings in the future. If any amendments are needed, we can attend to that for you. Contact us on (03) 5181 6363 to discuss the specific details of your business debt with an experienced debt recovery lawyer at our office in Traralgon, or email us in the first instance at enquiries@henrystreetlaw.com.au.